It has acknowledged that in order to enable the benefits that unmanned aircraft can bring to society, particularly in beyond visual line of sight (BVLOS) operations, it is imperative that they are safely integrated with all other air users in the national airspace. There has been a number of recent proposals that an Unmanned Traffic Management (UTM) system, or U-Space (as the EU has labelled it), either locally or nationally, will make this a reality. Several UTM solutions have been proposed and are being researched. These have the aim of providing the safe, secure and efficient integration of drones into national airspace systems with the focus on Low Level VLOS and increasingly BVLOS operations. However, each of these systems comes to both benefits and concerns. 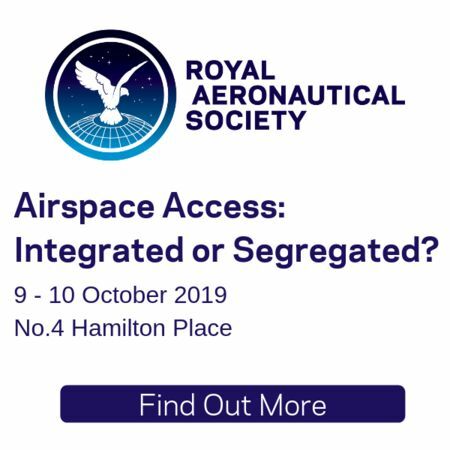 This year’s annual RAeS UAS Conference looks at the issues relating to the requirement for UTMs, which is expected to expand into a unified layered traffic management system supporting all airspaces users to the level required for their operations. The Conference will address the needs of the different users for delivery, surveillance and Urban Air Mobility (UAM) drones as well as GA and where necessary commercial and military aviation. Airspace management concepts and solutions will be presented together with key enabling technologies including the essential surveillance and communication functions. The critical aspect of safety and the extent to which the basic ‘rules of the air’ may need to be revised will be presented by experts from all sides of the debate. The event will include a discussion of the commercial aspects of UTM options including cost implications for users. It will also investigate the question of whether there should be separate UTM systems for pockets of low-level airspace, or whether the safe integration of unmanned aircraft could, and should, be achieved utilising a common but layered national/global airspace management system.